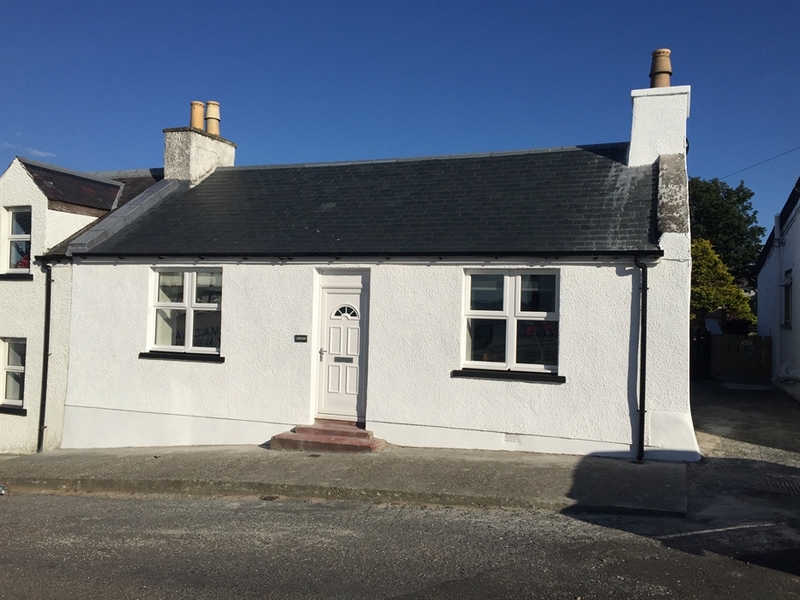 Bright, newly renovated cottage in heart of Bowmore and Islay to let. Flexible accommodation a few metres from Bowmore Distillery, restaurants, shops, harbour and historic round church. One double bedroom, living room with double sofa bed/second bedroom, spacious shower room and drying area, kitchen/dining/ living area with further double sofa bed, with French doors to patio and large garden with lade (stream) supplying water to distillery.